A leading manufacturer and worldwide supplier of manual & automatic powder coating equipment, electrostatic powder coating gun, powder optimization equipment and powder coating booths. 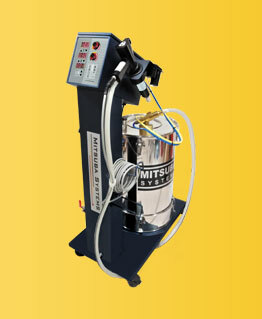 From last 30 years, we are unleashing innovations in powder coating equipments. 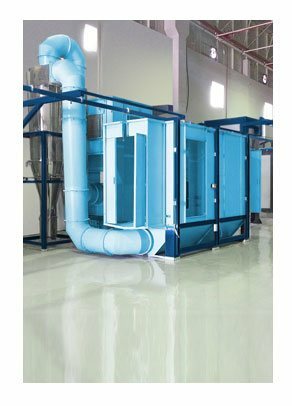 All innovations and improvements efforts are directed to increase the powder coating speed and to increase powder coverage - so our customers can have higher profits from powder coating: Be it any product, any powder and any application. 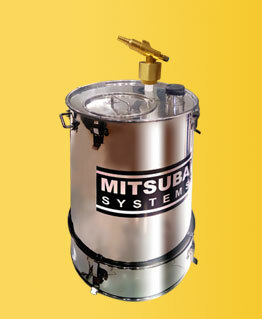 With superior products, you will be enjoy the most reliable support from Mitsuba's customer-committed support team. Just as our products: Powder spray gun, powder spray booths, tribo and corona guns, reciprocator ; are easy to use, we have tried to make the website equally easy to use and navigate. 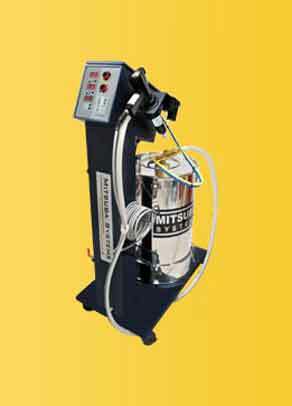 You may be looking for a State-of-the-Art powder coating plant or you may require just a single powder coating machine -- you will find what you need through this site. 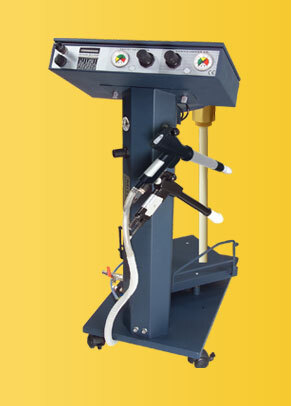 Select from Our range of manual as well automatic powder coating systems. Patented siever. Sieve powder while you spray. 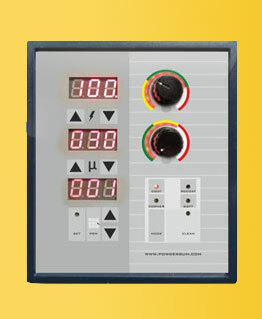 Saves time, cost and increases quality. 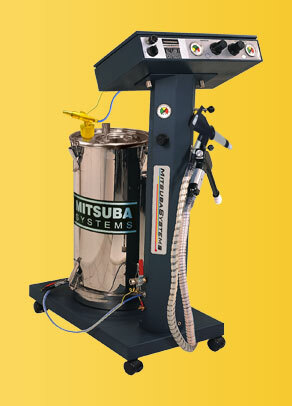 Manual Powder Coating Equipment. Work horse is famous for its solid reliability and superb performance. 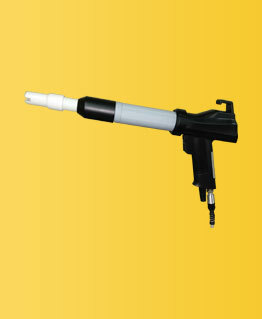 For Fast Color Change powder coating gun. Color change in 15 minutes. 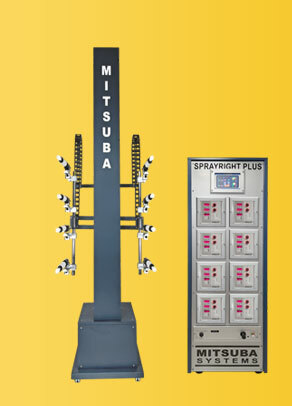 Smooth, Swift and Precise movement for speedy and uniform automatic powder coating. 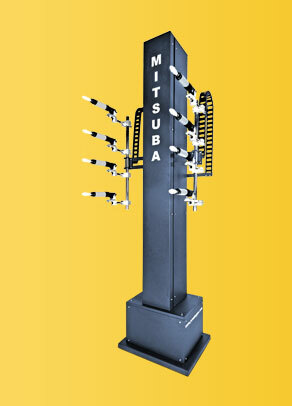 Mitsuba's "Infiniti" corona electrostatic guns in automatic version.